The gift of great skin in a gorgeous green bottle, Regenerating Cleanser stimulates cell regeneration to swiftly restore luminosity and lustre. Willow bark – naturally rich in salicylic acid – dissolves the bonds that bind dulling dead cells to skin’s surface, to refine overall texture and restore a more even, light-reflective surface; aloe vera – renowned for its reparative, skin soothing properties quickly combats irritation, inflammation and relieves sensitivity; pink clay draws impurities from the skin to minimise congestion and the likelihood of blemishes while apricot seed kernels provide gentle, physical exfoliation so skin feels smooth and looks polished. Suitable for all skin types, except overly sensitive. 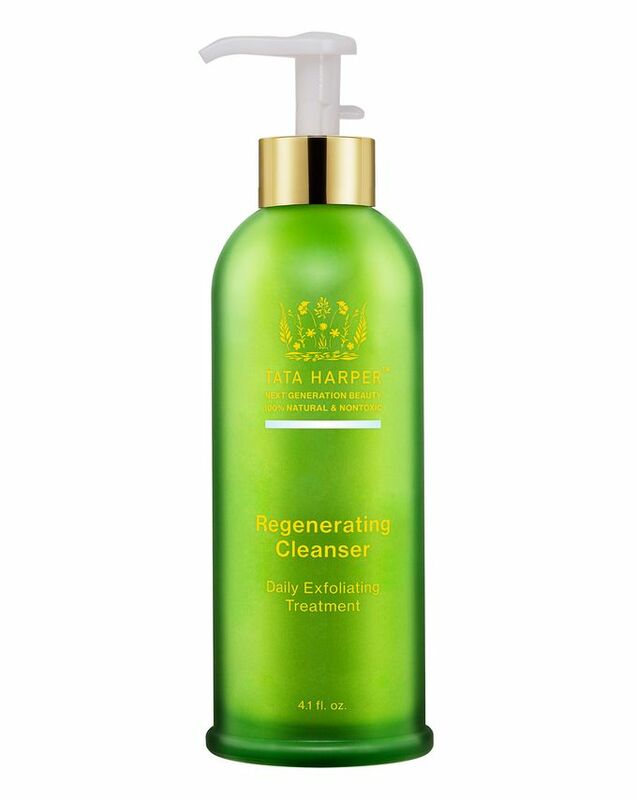 For daily cleansing, apply Regenerating Cleanser to damp skin and massage gently to activate the enzymes. Rinse thoroughly with warm water. To use as a deeper exfoliation treatment, apply to dry skin and massage gently to thoroughly exfoliate. Rinse with warm water. Store in a cool, dark place. It did wonders for my skin but sadly broke me out. I absolutely love this cleanser. It smells divine and works wonders in gentle exfoliation of the skin. Gives you a fresh glow and is great for more oilier/ combination skin complexions. It is very expensive but at least it works and you know you are not putting any dangerous chemicals on your skin, which is your body's largest organ. I love this cleanser, and noticed a difference right away. Such a great product, smells nice and has a nice texture. I hate this cleanser. I wish they’d release the Tata daily essentials box with different versions for different skin types, purely so I can avoid this. Smells weird and artificial (unlike anything else by this brand), grains feel scratchy rather than exfoliating and there’s not many of them so you get random scratches on some of your skin and not others, and it doesn’t make my face feel clean, which is it’s raison d’etre, non?! The pump is also bad as has been widely discussed. There is nothing I like about this. Love the smell and the texture. I think the beads (apricot seeds) in the formula are a good size and are not too harsh on my skin. My skin always feels clean and nourished after using. My skin has never felt dry or stripped of moisture after using. The pump is not good. The product is too thick for the pump. Which means I have to press down multiple times to get a small amount out because the pump has become blocked OR I have to unscrew the bottle and tip the product into my hand. For that price I really do think that TH should provide a pump that works. I am absolutely in love with TH range. This cleanser is a delicate exfoliant yet fine to use it everyday, it smells divine like all her products and gives great result of nice and clean skin. It is pricey however a joy to use. I highly recommend. I read about this one on a beauty blog and decided to try it out. Worth every penny. Smells amazing and it makes my skin feel clean but not dry. One of the best cleansers I have ever tried. Leaves skin soft and clean, smells great. I tend to use it as an ocassional exfoliating treatment rather than a daily cleanser though. Firstly because I find the little beads effective, but slightly annoying as it can be difficult to shift all of them. Secondly because daily use is slightly drying, but I think that's just down to my skin type. I absolutely love this cleanser. It's very expensive, but it makes me feel a million bucks so it's all worth it! I use it in the mornings as my morning cleanse. It smells really fruity, and feels really refreshing. It has apricot seed kernels, which help to exfoliate, but they are gentle enough for daily use. I have about 8 different cleansers in use at the moment (including Tata Harper's Refreshing Cleanser) and this is definitely my favourite. Am giving it 4 stars, only because it's so expensive! This cleanser is a dream come true, I love it so much. It 's creamy, it smells fantastic and it cleans my skin without drying it. it is expensive but worth the price! 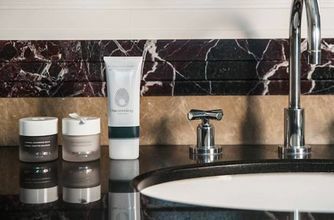 Looking back I can't believe I spent this much on a cleanser, but it is very good - one of the nicest I have used and I find it really hard to find something workable for my compromised, sensitive and oily and spotty and dry in places skin! I wasn't too impressed at first and gave it a bit of a break but when I went back to it I realised I wasn't getting my usual spots and my skin was a lot clearer. It's quite a unique combination and feeling with the very mild exfoliate texture. Skin feels clean and soft and not dry after use. I'm thinking of going back to this or trying the Tata Purifying cleanser when it comes back in stock. This cleanser is seriously life changing, I've had this cleanser for a few weeks now and everyday it makes a difference to my skin. My skin is so much softer, and my acne scars are fading. The smell is divine too, it has a lovely orangey citrus smell so its great in the morning when you need a pick me up. 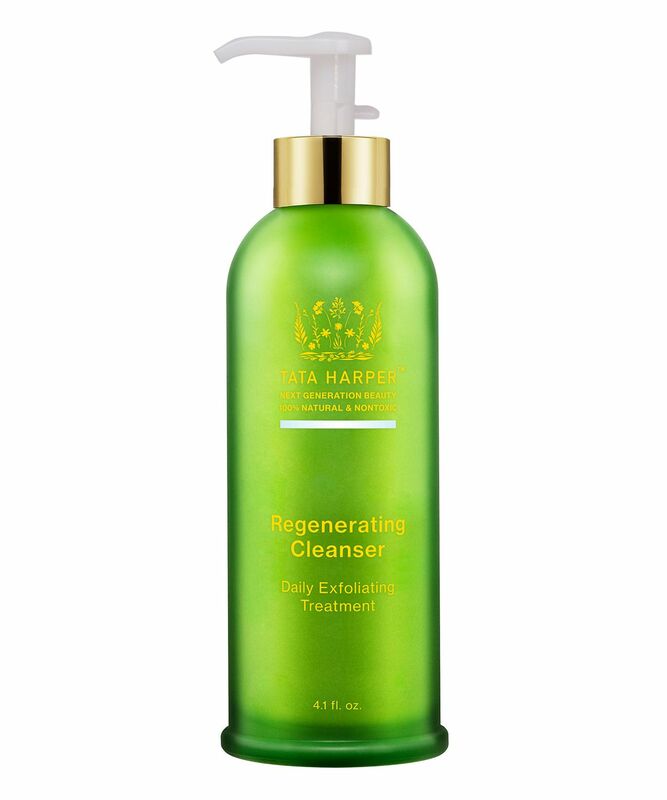 I couldn't be without it now, and I cant wait to try some more of the Tata Harper range. Excellent for my older skin and unfortunately still spot prone. This really cleans and leaves far less breakouts, plus it smells fab. Only criticism is the cost. I bought this cleanser because I wanted a really nourishing cleaner that would exfoliate my skin but help balance out my oils, all this did was frustrate my skin even more. I got a ton of spots after each use, I gave it many chances and I just had to stop. 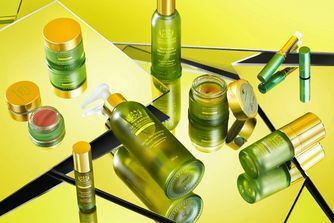 I’ve heard now natural and amazing this brand is but I'm very angry that I payed £37, not worth it. I use it once a day and it's brilliant! I got this in the Cult Beauty goody bag, I love it, it got rid of my daily spots I would definitely get this as gives my face a glow. This cleanser has helped my congestion so much. I agree with everyone else saying it's only good to use as a 2nd cleanser and the pump is poor quality. This would've got 5 stars if the packaging hadn't been so awful. Had to unscrew the top and scrape off product from the actual pump itself because it wouldn't dispense product normally. However was one of the best cleansers I've tried. Saying that, I think it would be more suitable as a summer cleanser, as the abrasive particles made my extremely dry winter skin even drier. But again, only very SLIGHTLY. I also agree with the comments saying it is better as a second cleanser. The smell of grapefruit really wakes your skin up. I've had this for a while, but 1/2 through the bottle, I kind of lost interest in it. It feels more like an exfoliator rather than a cleanser so I tend to use this as a second cleanse. I went ahead and purchased the Tata Purifying cleaner and mixed the two together and I fell in love all over again (2 pumps of each). I like the mild exfoliation it gives. I received a sample of this product and loved it, therefore I got the full-size as soon as possible and simply could not be happier with this purchase. Cleans the skin, does a light exfoliation that does not irritate my face at all. Leaves skin feeling clean but not dry and smells fantastic. A bit on the expensive side but worth it. I have a rather large selection of cleansers, including all 4 from the TH range and this one is HANDS DOWN my "go to". The texture is divine, not to harsh so can be used daily and the way it leaves skin feeling after use is lovely. The smell, much like the whole range from TH, is really lovely. Its not overtly feminine or perfumed; it smells of natural goodness! I have already purchased a back up ready for this one to run out. I doubt I will be able to go with out! This brand really surprises me, all the ingredients are natural without any adddition of chemical preservatives that you cannot even recognize. It is great for exfoliation, very mild but effective. Best used a couple times a week. I love it! Le moment du nettoyage devient du pur plaisir... This makes cleansing my face a pure pleasure. This is the perfect cleanser for anyone, particularly for those suffering with congested skin (which I do, oily skin!!). It's a shame it's £60.00, but I guess you get what you pay for. This is lovely.